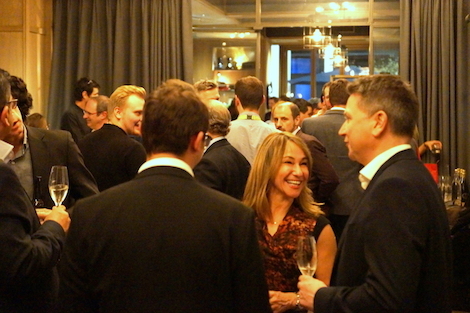 This week here in London the DPAA, the leading global organization for everything digital out-of-home, were once again proving that they are the masters of industry networking. Using #AdvertisingweekEurope as a base, not only did they hold two very successful, standing room only panels on the Wednesday, they held an equally well attended cocktail event that evening. 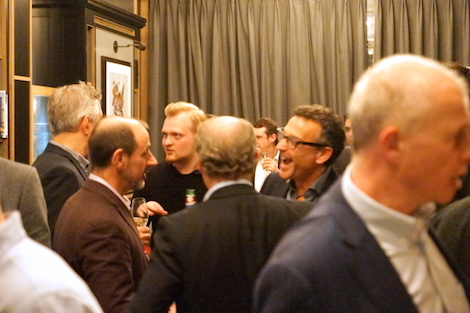 From Left to right; Primesight’s Insight and Innovation Director Mungo Knott, HYGH’s Co-Founder Antonius Link, DPAA CEO Barry Frey, all somehow making Esprit Digital’s CEO Peter Livesey stop talking for a minute. 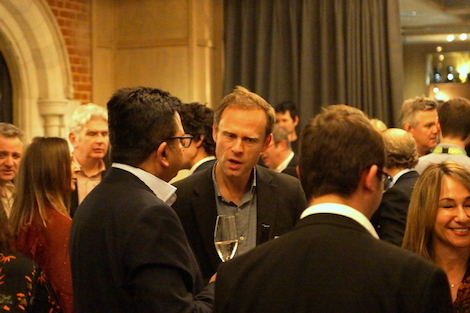 Ultrahaptics Senior Vice President of Product and Marketing Anders Hakfelt deep in conversation. Far right, Trueform’s CEO Jonathan Morley. This entry was posted on Thursday, March 21st, 2019 at 15:52 @703 and is filed under Scuttlebut. You can follow any responses to this entry through the RSS 2.0 feed. You can leave a response, or trackback from your own site.